Update: June 11, 2018: For a pdf of this pattern, click here. I have another jacket pattern coming soon but in the meantime thought I would clean house and make this pattern a free one. This is a great scarf for beginners wanting to challenge themselves with having to count within a pattern. Knit lengthwise to give a different perspective to a simple open work pattern. Update: For the updated photos of the scarf with the gray yarn I used 1 skein of Magnum Super Chunky by Cascade (123yds) and a #19 needle. I would use at least a 29" long circular needle since the scarf is worked lengthwise. For the cream color scarf I used 3 skeins of Misti Alpaca Super Chunky (55yds per skein; @150-165yds total) on #17's (again I would use at least a 29" long circular since the scarf is worked lengthwise). I didn't measure for gauge, but keep it loose. If you knit tightly definitely go up a needle size or even two. The more open the better and don't worry even with the open pattern the thickness of the yarn makes for one very toasty scarf. Repeat this row 10 times. Bind off. Cut fringe and place on ends of scarf; wear & be warm! This free pattern is here. It's those simple designs that end up being so loved and classic!! 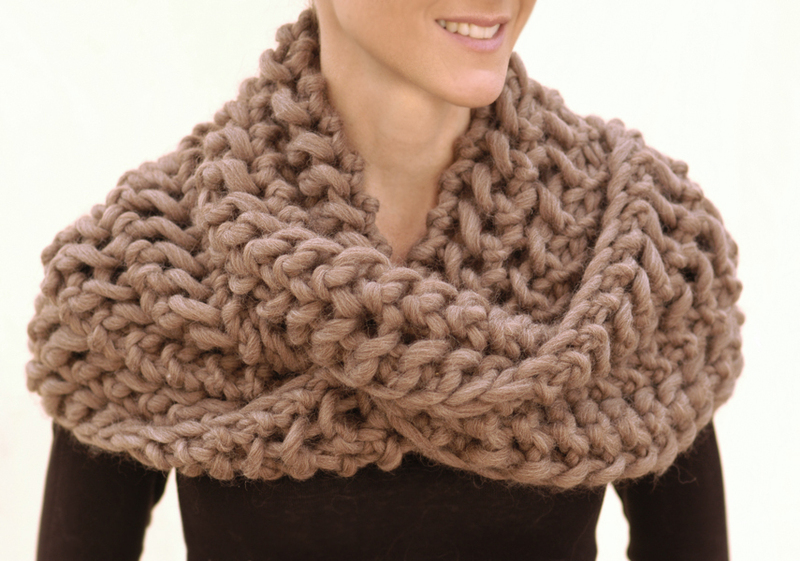 what a great free pattern, the scarf is gorgeous. Thanks Julie! I'm a sucker for this simple open work pattern and loved the way it translated using the Super Chunky. What do the asterisks mean? Repeat until end of row and then k1 at the end? Yes, repeat what's between the *'s until the end, then K1. Let me know how it goes! Sure TC, I always like to slip my edge stitches, I think it gives it a cleaner look. But if you're not used to it & it trips you up knitting the first stitch is ok & won't throw off the pattern. Hope this helps! This is a beautiful scarf but I am a little confused in that, it lists both a chunky Cascade with one size needle and a Misti Alpaca with another size needle. Is this an either/or? Yes, it is an either/or. I did the Misti scarf w/ #17's & the Magnum w/#19's. I think I prefer the 19's because it opens the stitch pattern just a bit more. If you knit tightly I would definitely use the #19 though. Hope this helps! Hi, I would love to knit this piece, it is beautiful! Hi Annie, TOG means together. 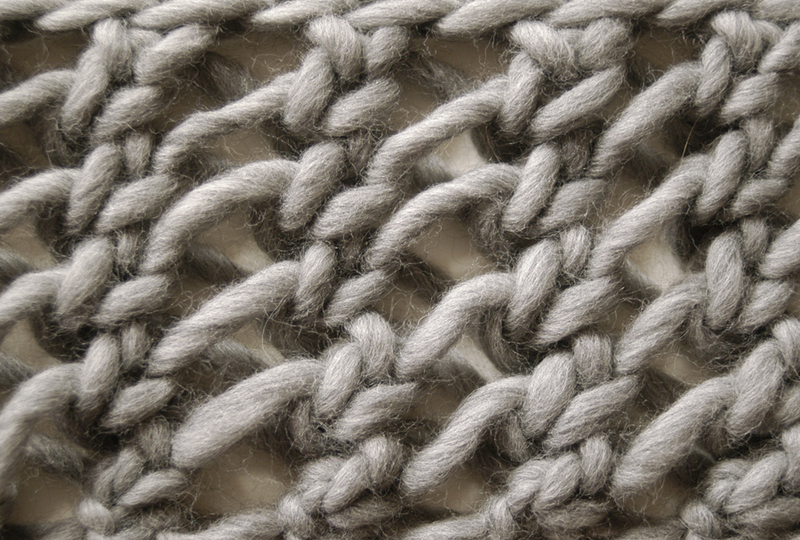 With K2tog (a decrease) you want to knit 2 stitches together as you would one stitch. Hope that helps! Thanks Mary! The only thing with using straight needles when working a scarf length wise is if the stitches get really crowded on your needle it might be hard to work but that would depend on the length of your needles. Worth a try though! Hi Susan, you want to use a traditional bind off. But if you are finding that it's a little too tight try going up a needle size OR if you don't have a larger needle you could hold another needle (like a #15)with the one you are using to bind off. This can be a little awkward but will help to keep it from being too tight. I saw someone mention they had just found your site. Can you please give me that information. 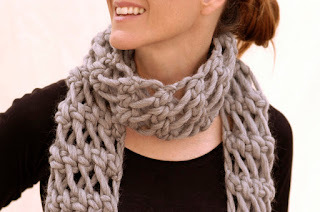 I found this pattern through All free knit and would love to look at your other designs! ! I am a true beginner, so, what does Sl1 (purlwise) mean? Good to know Alicia, I may take you up on that! Will the magnum one capelet fit an adult? Hola, saludos desde México, quisiera saber qué significa * yo, K2tog * entiendo que K2tog son dos puntos juntos pero, que significa yo? I have made this 3 times and can't understand why it looks different. Before you slip stitch purl wise are you bringing the yarn in front? Also, what is a slip? How do you do that? I'm lost after so many years!!! Hello! 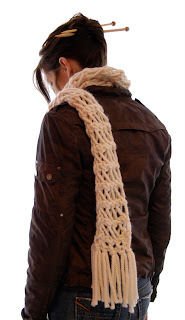 Is there a specific cast on/cast off method you would recommend for this scarf? I tried the short tail cast on method but had some issues.